Okay, so it’s official: candy corn is magical. They look like unicorn horns for a reason, methinks. Just adding simple ingredients to candy corn makes it taste like something else entirely. Like…if you add peanuts to candy corn you get a PayDay Candy Bar. 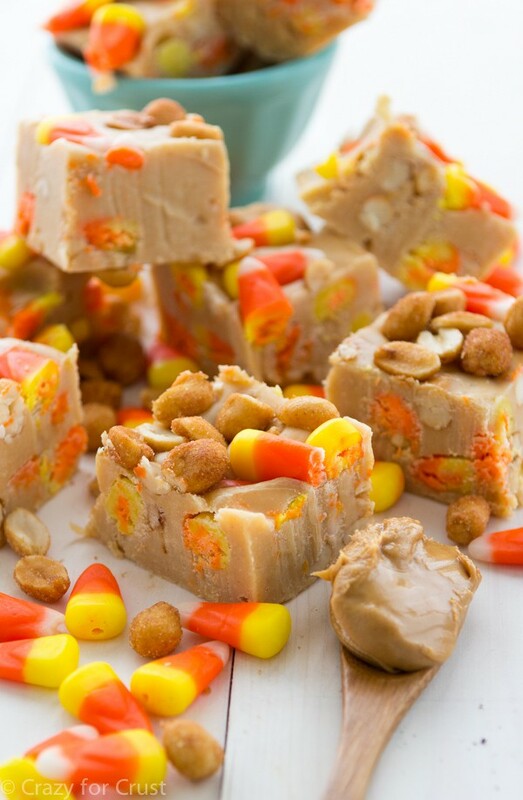 And, if you add candy corn and peanuts to peanut butter fudge, it tastes like PayDay Fudge. If that’s not unicorn magic, I don’t know what is. So, today is one of those days where I’m looking at you with a little smirky know-it-all smile. You’re looking back at me and thinking what does she know that I don’t? Then, if we were actually together in this scenario, you’d think…did she change her hair? Get her teeth whitened? Lose 10 lbs? And, meanwhile, I’d just continue to smile at you until you figured out the change. Since by “we” in this situation I mean you and my blog, well, then it might be a little harder. If you’re a regular you may have noticed right away but…no my blog didn’t get her hair cut. And she’s been working out, but that last 10lb is really sticking. What’s the change? Crazy for Crust has a whole new look! I’ll be going over the finer points of the design and pointing out some cool features in a future post (as part of my upcoming Blogging Series) but in the meantime, browse around, see how it works. And if you find anything wonky, please just let me know! In the meantime, let’s celebrate with FUDGE! Candy Corn is baaaaack. You’ve probably seen it. Obviously the people in Roseville, CA are addicted to it because Walmart was completely sold out yesterday. I’m not a huge just-eat-candy-corn fan. Honestly, alone, it’s kid of boring. But candy corn is truly magical – when you mix it with certain other foods it totally changes the flavor. And, when you mix it with peanuts, you get PayDay Candy Bars! You can eat it alone to get the effect, or use the two ingredients to make something else. I actually have a recipe for PayDay Rice Krispie Treats in my book and today I’m sharing PayDay Fudge. I’m telling you – it’s magical! 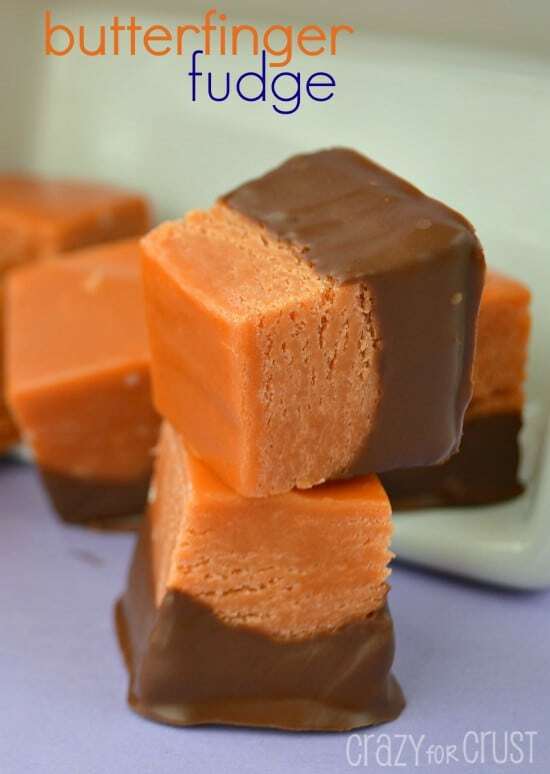 This is an easy fudge recipe. Only 6 ingredients! Simply melt white chocolate and peanut butter with sweetened condensed milk. That’s the base of your fudge. 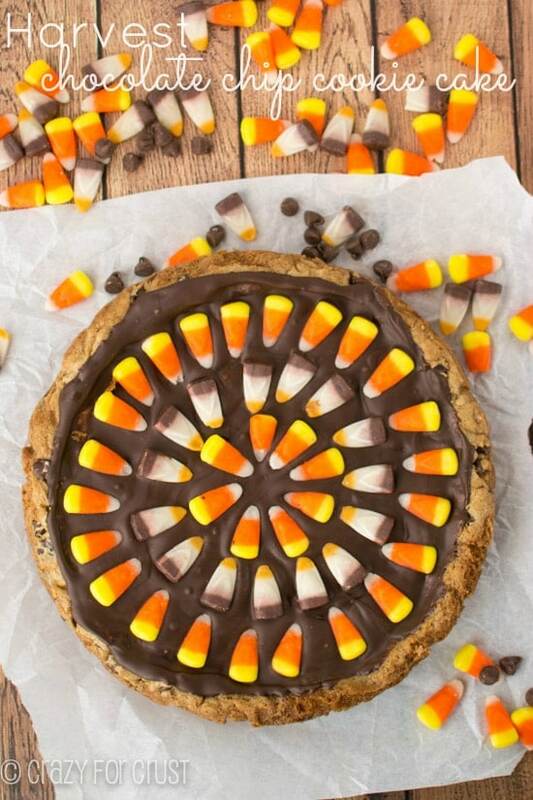 Then, before spreading it in the pan you add peanuts and candy corn. I’m not joking – this comes together in about 15 minutes. The hardest part is waiting for the fudge to set! 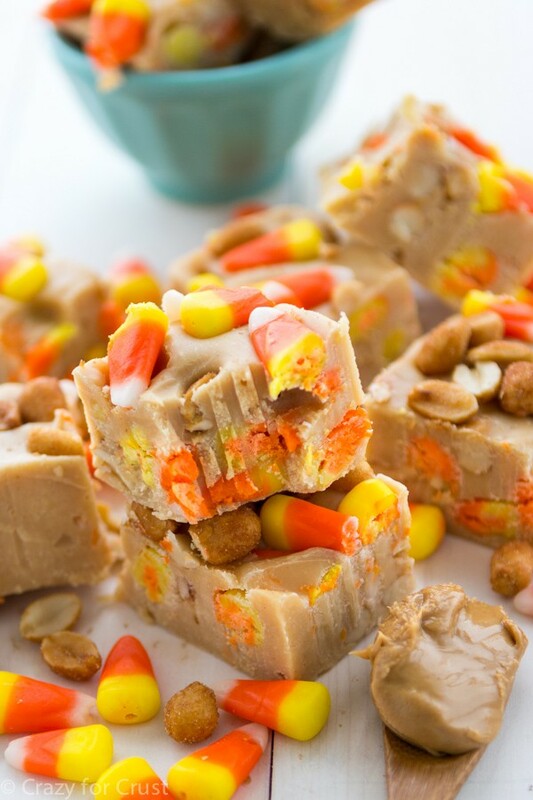 Easy peanut butter fudge is filled with peanuts and candy corn, making it taste like a PayDay candy bar! With only 6 ingredients, this easy fudge comes together in under 15 minutes. Assemble all ingredients. Line an 8x8” or 9x9” pan with foil and spray with cooking spray. Place white chocolate chips, peanut butter, and sweetened condensed milk in a medium saucepan. Heat over low heat, stirring often, until melted and smooth. Remove from heat and stir in vanilla. Working quickly, stir in 1 cup each of the candy corn and peanuts. 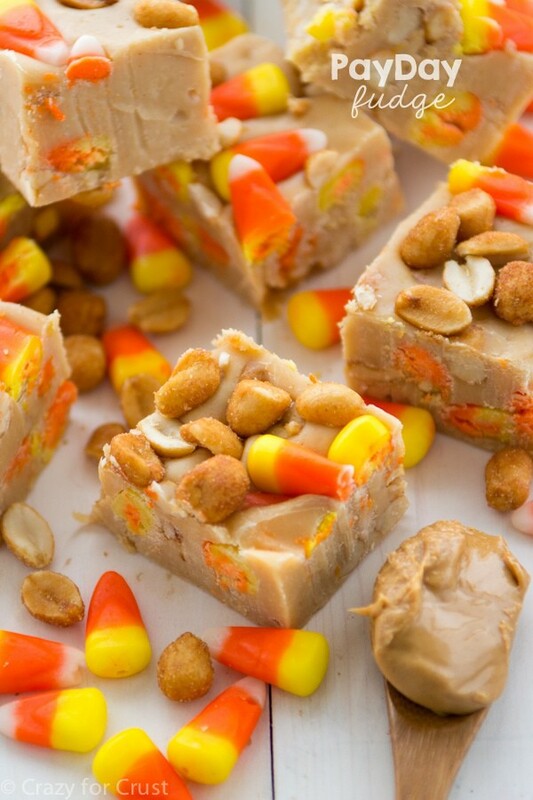 Quickly spread in prepared pan and top with remaining candy corn and peanuts; press to adhere them to the top. Let fudge cool to room temperature, then chill to set. Cut into squares. Store in an airtight container at room temperature. Like candy corn? Then try these! 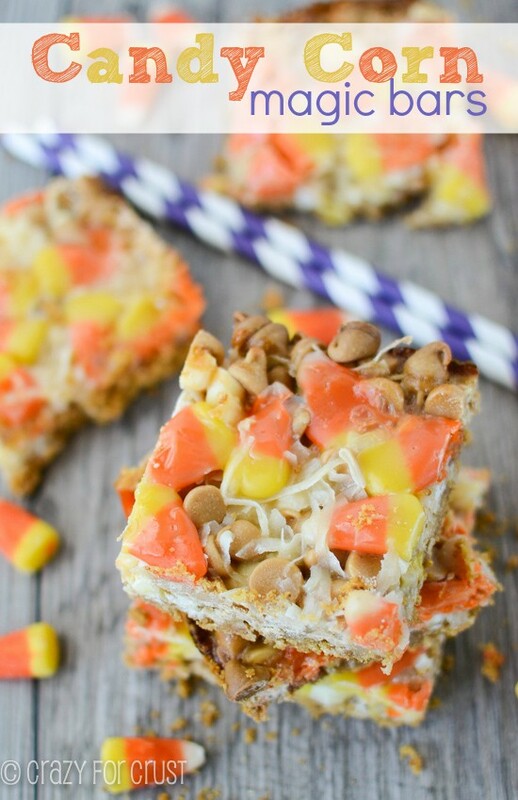 Butterfinger Fudge – made with melted Candy Corn! Love the new site design – really fresh and clean looking ! Candy corn is definitely magical! My husband always buys a bag of peanuts and candy corn and mixes them together. He loves the stuff, it really does taste like a pay day too. He’d totally die if I made this fudge for him! Definitely on my list for Halloween. Love the new blog design too! This fudge looks awesome! Plus I love love love your blog redesign! Thank you Wendy! I’m in love with it. It’s like a new hairdo, I can’t stop looking at it, ha! I went and got the stuff to make this, but of course the measurements are off because I am in Canada and everything here is ml not oz. So I ended up using 1 bag of white chocolate chips, and the remainder I used semi-sweet chocolate chips because that’s what I had. I put in 1/4 c. of brown sugar to compensate. I want to make your payday fudge, but I’m unsure whether you use salted or unsalted peanuts?